Similar to verdicts he rendered in the trials of Officers Caesar Goodson and Edward Nero, Judge Williams intoned “The state has not shown…the state has failed to present any evidence…the state has not proven. Rice was a highly trained officer, prosecutors said. He knew prisoners were supposed to be seat-belted. And he knew the dangers associated with not doing so, they argued. But Williams pointed out prosecutors weren’t able to present evidence of Lt. Rice’s training records. Williams forbade prosecutors from introducing thousands of records documenting Rice’s training since he graduated from the police academy because they weren’t turned over to Rice’s lawyers in time. “The inability to present that evidence was based on a discovery violation by the State and the State must bear responsibility for its failure to provide discovery,” Williams said. Williams did say prosecutors proved Rice received the email that updated police policy on seat-belting prisoners, requiring officers to put prisoners in a seatbelt in the back of a police van. But they didn’t show that Rice actually read the updated policy, Williams said. Former city prosecutor Warren Alperstein said he was not surprised by the judge’s verdict. “It was a combination of the same theories as well as the same evidence that’s been put forth now in four trials and, again, Judge Williams has rejected all of the state’s arguments and theories,” Alperstein said. Defense attorney Warren Brown, who has seen all four trials in the case, said the changing seat belt policies have been the lynchpin for a lot of the charges. “In some instances, it’s been, you know, the judge has pointed out the state failed to show that these defendants read the changes in policy,” Brown said. Yet, University of Maryland Law School Professor Doug Colbert credited State’s Attorney Marilyn Mosby for bring charges against the officers. He said the not guilty verdict is another step in making sure no one else suffers a fate similar to Gray’s. “From this point forward, the police are certainly put on notice that they must provide care and safeguard prisoners. I don’t think there’s any mistake that everyone is now real familiar with the commissioner’s order,” Colbert said. Lt. Gene Ryan, president of the city Fraternal Order of Police, said his group is pleased with the verdict; and once again called on Mosby to drop the charges against the remaining three officers. Ryan said prosecutors rushed to judgement. And had they spent a little more time looking at the facts, they would have seen things as Judge Williams did. It’s a point he and Warren Brown agreed upon. Brown added it’s clear that no one knows exactly what happened to Freddie Gray. A handful of protesters gathered outside the courthouse, calling for justice for Freddie Gray. Tawanda Jones, whose brother, Tyrone West, died in police custody three years ago Monday, was among them. She said the evidence was enough for her. Jones gave Mosby credit for pursuing charges, but said she could have done a better job. It is not known whether prosecutors will continue with the next trial; that of Officer Garrett Miller scheduled for July 27. Baltimore Circuit Judge Barry Williams is expected to announce his verdict in the trial of Lt. Brian Rice Monday morning. 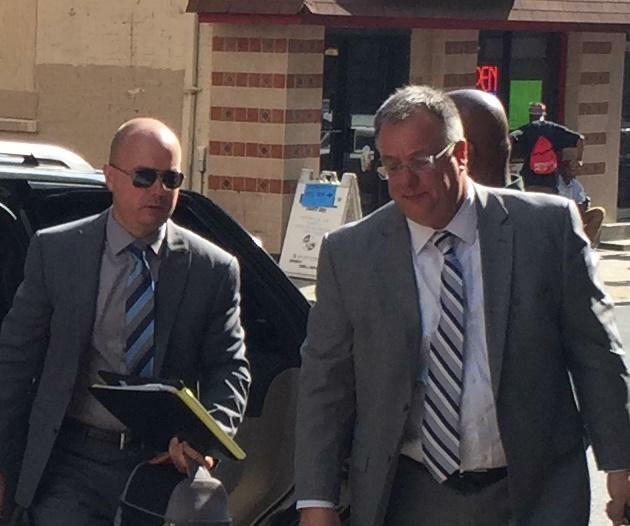 Rice is the highest ranking officer charged in last year’s death of Freddie Gray. He is charged with involuntary manslaughter, reckless endangerment and misconduct in office. Gray died from a spinal injury suffered in the back of a police van. Rice could face up to 10 years in prison if convicted of the top count; the manslaughter charge. The fate of Lt. Brian Rice is now in the hands of Baltimore Circuit Judge Barry Williams. 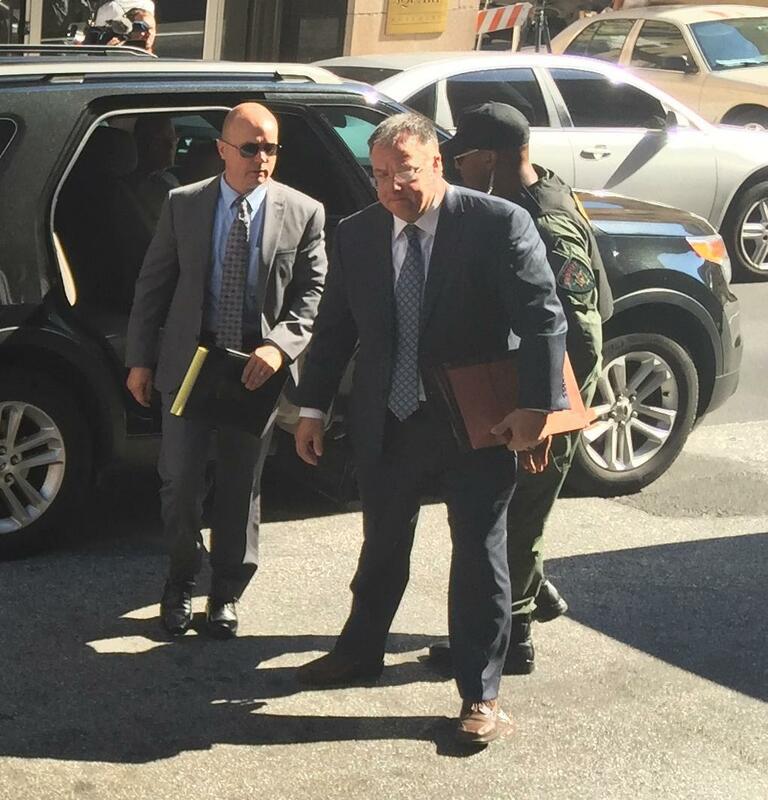 Williams heard closing arguments Thursday in the trial of Rice, the highest ranking officer in the Freddie Gray case. He is charged with involuntary manslaughter, reckless endangerment and misconduct in Gray’s death last year. Judge Williams said he will render his verdict at 10 a.m. Monday. 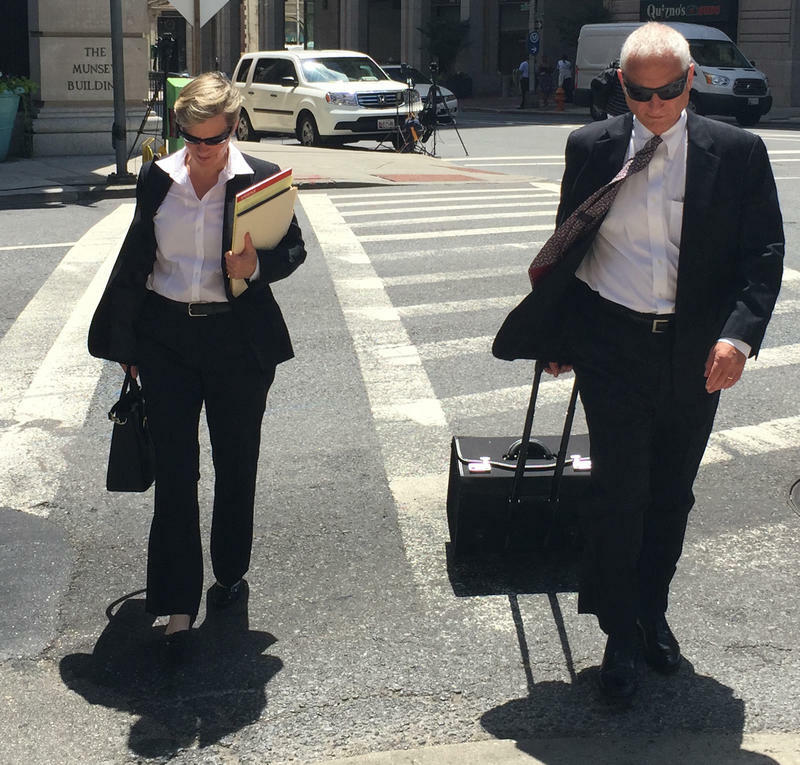 In their closing arguments, prosecutors are expected to suggest Lt. Brian Rice, as senior officer, knew more than anyone the dangers of not seat belting Freddie Gray in the back of a police van last year. Defense attorneys will say Rice was concerned about the safety of his fellow officers and Gray as a crowd at the arrest scene became hostile. Those arguments are scheduled for 10 a.m. Thursday. 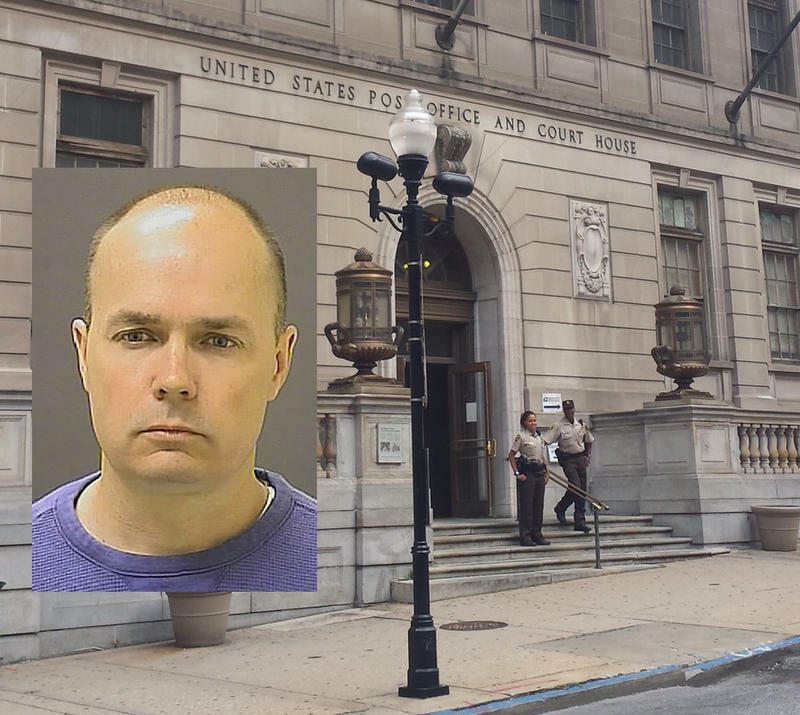 Prosecutors and defense lawyers in the trial of Lt. Brian Rice will spend Wednesday preparing their closing arguments for Baltimore Circuit Judge Barry Williams. They’re scheduled for 10 a.m. Thursday. Rice is charged with involuntary manslaughter, reckless endangerment and misconduct in office in last year’s death of Freddie Gray from a severe spinal injury suffered while being transported in the back of a police van. This trial, the fourth of an officer charged in Gray’s death, feels like Groundhog Day: allegations similar to the previous trial, similar evidence, similar witnesses.